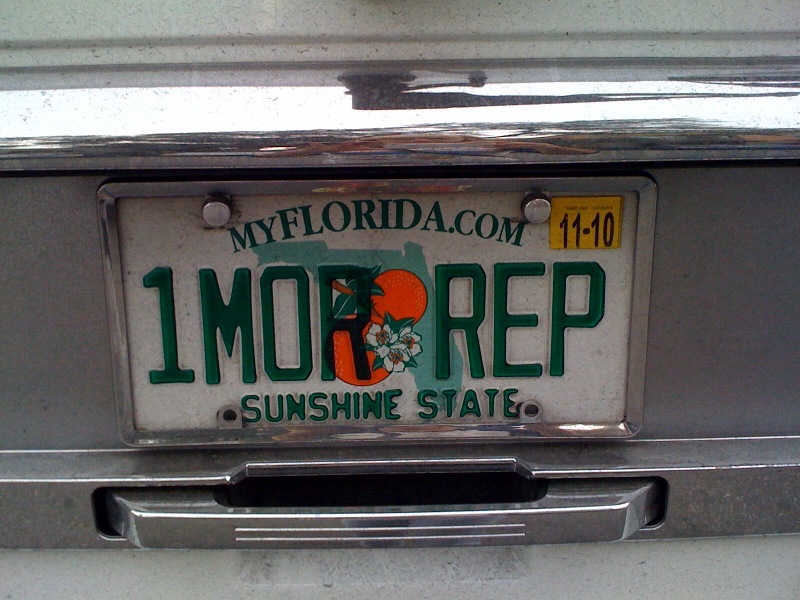 This is really a pathetic way to start up posting again after a few hectic days that precluded me doing so, but here it is: a license plate from sunny Florida. The person who drove the Hummer that bore this license plate had clearly done many reps at the gym. Aaah…if only I had snapshots of the many other interesting license plates I have seen through the years. Every time I spot a new one, I ask why? Just why? Like the one I saw that said: “2 COOL 4 u”. Why? I also then wonder, if I were going to get a personalized license plate (or if in some wacko scenario I were forced to get one), what would it say? THEATRE? SCENE? Ugh. WRD NERD? Bigger ugh. A follow-up post to “Women Theatre Bloggers” will be up in the next week or so. I’m still hoping to identify the women blogging about theatre in England,Ireland, and elsewhere aborad. A big thank you to those who have contributed to the list! Especially to Simon at The Next Stage and Isaac at Parabasis for helping spread the word about my query.